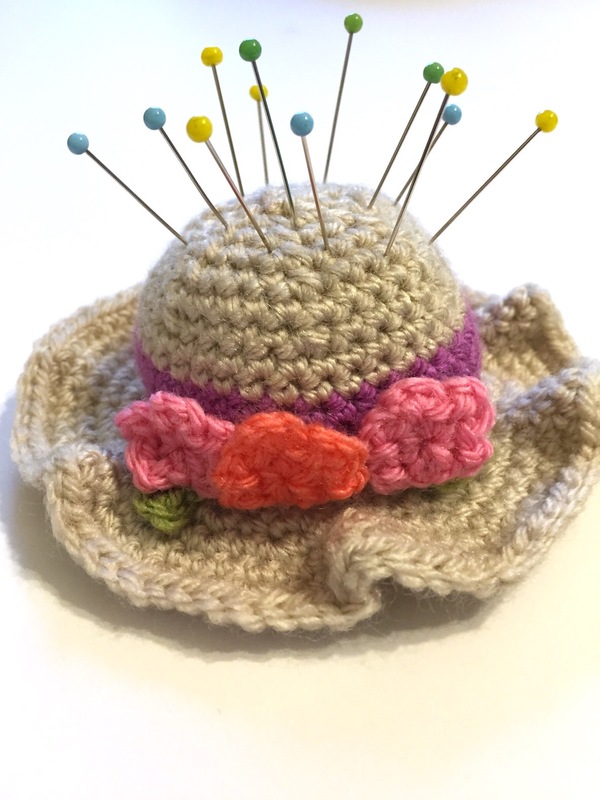 If you were to check out the latest issue of Simply Crochet magazine (Issue 16), you would see my latest pattern — a springtime pincushion shaped like a little hat! As you can probably guess, I am incredibly honored to be in such a wonderful magazine. And guess what? My fellow blogger Rachel from The Little Room of Rachell is also in it with her own lovely brooch pattern. Rachel was the first blogger I ever met face to face. We met over the Christmas holidays in 2012 and it was great fun — hopefully I can go back and see her again one day! Rachel has actually already made her own pincushion hat, and I intend to make her brooch pattern as soon as I can get ahold of this issue (Issue 16); it isn’t available here for another couple of days. There may be even more bloggers in the issue that I know, but I’ll just have to wait and see! Please forgive any formatting errors in this post — I believe this is my first post from my iPad and I’m not sure exactly if I’ve done it right, haha. Also, thank you everyone for your kind words after my last post about my uncle — I really appreciate your sympathy and support. Well, I think that’s all I’ve got for today. Thanks for stopping by! oh boy, another reason to get my paws all over that issue sooner rather than later!!! Two famours blogger friends 🙂 So excited for you! Congratulations! I knew about Rachel so was super excited when I saw you in the mag as well. Well done you! Your pincushion is so sweet, I couldn’t wait to make it. I’m not so much into purely decorative things like wreaths, but making and sewing on those little flowers and the leaf was so enjoyable. Maybe I’ll make one sometime now. Congratulations! Your pincushion hat is adorable. Is there someone who have the pattern and can forward it to me. Will appreciate very much. Im from South Africa. I would really love to make this cute pincushion. Where can I buy the pattern? 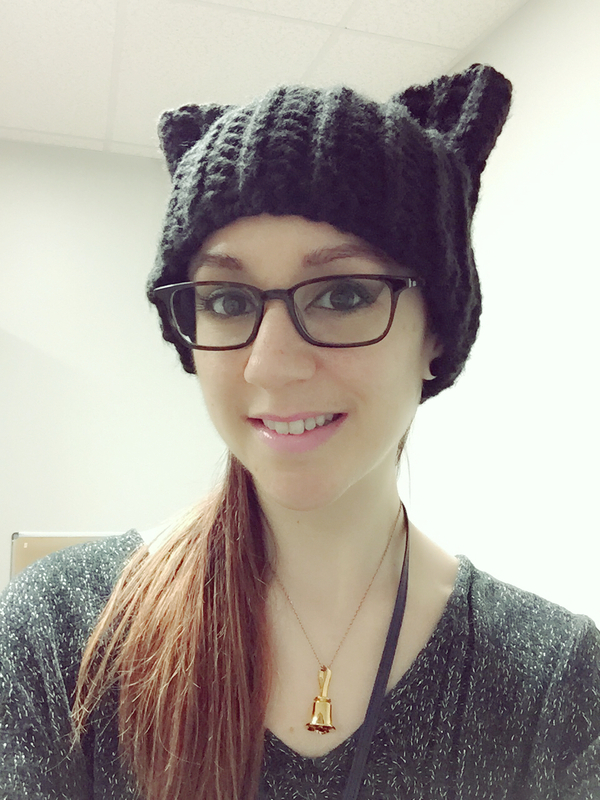 i would love to make this little hat pincushion pattern, I can’t find any more details about where to get it on Ravelry from your link or any of the attached links from there? There are not, I’m sorry! It was just published in the magazine.